People love cats as pets because they are good companions. They may not be as energetic and active as dogs but their little antics can surely put a smile in anyone’s face. As an owner, you have to remember that your cats have some basic needs that you have to provide. Leftover foods are not suitable for cats. They have nutritional needs in order to be fit and healthy. While this may make a dent on your pocket, you have to find the right brand known for its affordability and quality. However, so many brands are in the market today that you may find it hard to choose the right one. 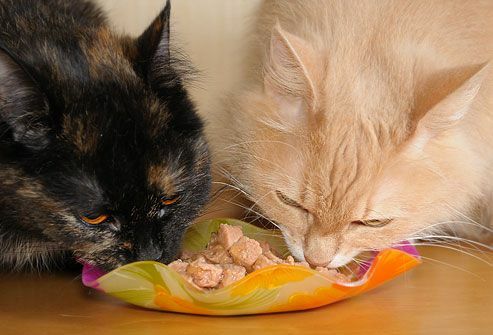 Feeding your cat a variety of dry and wet foods with different ingredients and texture can make your cat’s mealtime more interesting, so it will not become finicky when it comes to eating. Some cat food choices include raw meat and bones, which are cat’s natural diet. You can make some homemade cat food on your own, or buy commercial canned food. You can change your cat’s diet, but do it gradually so that it can get used to it. Have freshwater ready for your cat and always use a clean bowl for its food and water. When choosing healthy cat food, whether wet or dry, always look for its nutritional value and you should always consider your cat’s preference whether it wants to eat wet or dry foods. hi!,I really like your writing so much! percentage we be in contact extra approximately your post on AOL? I need a specialist in this area to unravel my problem. Maybe that’s you! Having a look forward to see you.